The US Army Corps of Engineers (USACE) has launched its stunning Engineering with Nature Atlas featuring 56 projects. While many of the projects presented in this Atlas are from the USA, case studies are also included from Belgium, England, Indonesia, the Netherlands, New Zealand and Scotland. 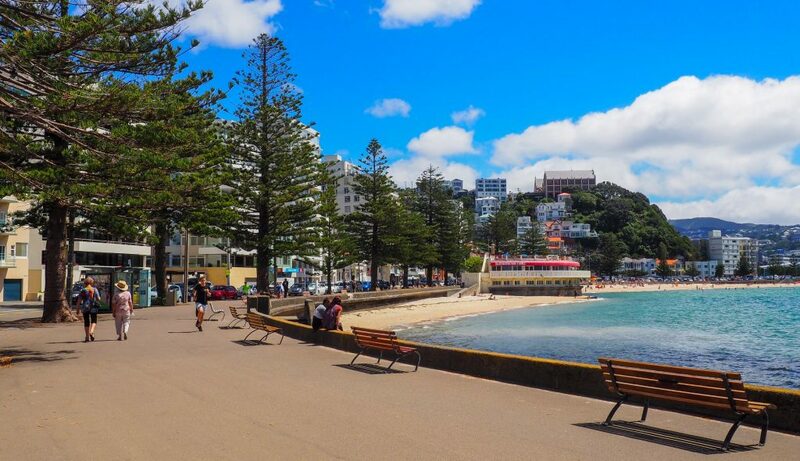 The two New Zealand projects feature successful foreshore restorations in Wellington’s Oriental Bay, (pictured) and Auckland’s Taumanu Reserve in Onehunga. The projects reveal the diversity of applications and benefits that can be achieved through Engineering With Nature. The Atlas is organised in sections covering beaches and dunes, wetlands, islands, reefs, riverine systems, levee setbacks and floodplains, use of vegetation and natural materials, and environmental enhancements of infrastructure. Within these sections the Atlas looks at successful engineering projects for protecting coastlines & enhancing recreation, creating natural defenses & aquatic habitats in wetlands, stabilizing shorelines and creating habitat, strengthening and restoring natural waterways, and mitigating flood risk through natural processes. The Atlas is available online and free to download.